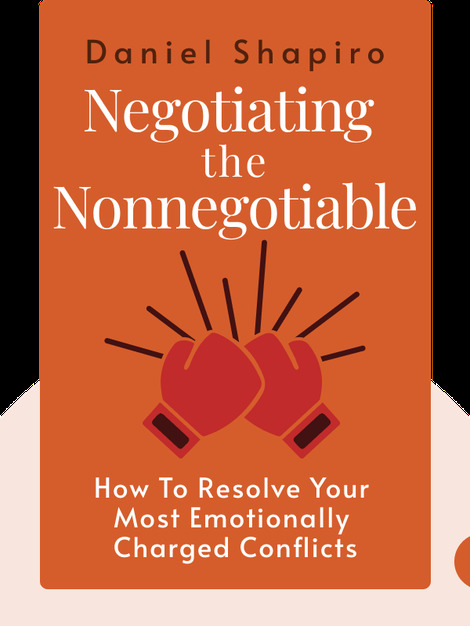 Negotiating the Nonnegotiable (2016) offers insights into a new framework that can be applied to solve stubborn conflicts in both our personal and professional lives. The blinks emphasize the importance of the “tribal mind,” while also illustrating how we actively address emotional pain and examining the role of identity in conflict resolution. 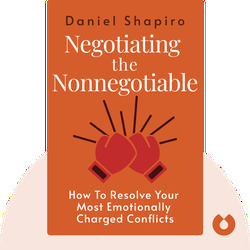 Daniel Shapiro founded the Harvard International Negotiation Program and is an associate professor of psychology at Harvard Medical School. He is also a consultant for Fortune 500 companies and various public institutions, and has created several conflict resolution initiatives in Asia, Europe and the Middle East.